We have provided local youth with a Catholic education since 1890! The Parish of St. Joseph was organized in 1880 and incorporated in 1881. The property that the school and parish reside on were purchased from Knapp and Stout Lumber Company. As of 1889, 125 families were registered with St. Joseph Parish, and within just a few short years (1892), Rice Lake soared to a population of 2,500! Early pioneers in the Rice Lake area wanted to provide the framework of a faith community where children could mature in the Christian faith and learn about and live out the Gospel message. St. Joseph School was first established in 1890 and was initially staffed by Franciscan Sisters of Christian Charity of the Holy Family of Alverno. Our school has been a mission of St. Joseph Parish for over 120 years. St. Joseph Parish resides next door to St. Joseph School. Within 60 years the original school building was bursting at the seams with approximately 300 students. It was time to build a larger school! 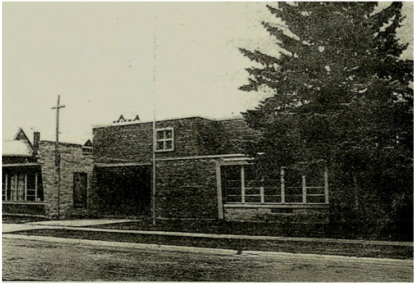 The present day building that St. Joseph School resides in is on the same property that the original school building sat and was dedicated on October 12, 1952. Today, we continue to serve approximately 180 students grades 3K through 8th Grade. 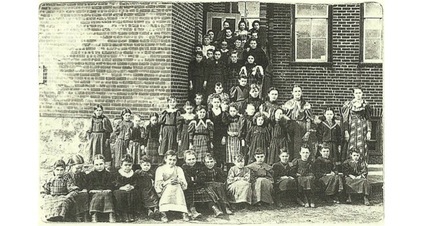 This picture is of some of the students who attended St. Joseph School probably around the time it was opened (1890’s). 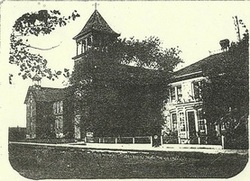 This picture was taken approximately the late 1890’s and shows us a side by side view of the school on the left, with St. Joseph Parish in the middle and the Rectory on the right. 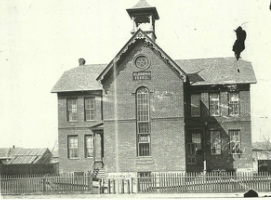 This is the very first St. Joseph School building, built in 1890. 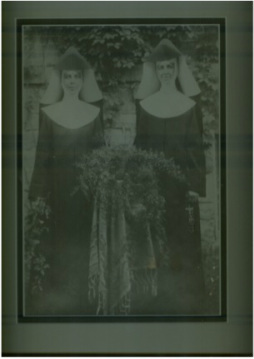 Four of the nuns lived in the school basement until the upper part of the school was remodeled for their living quarters. It had four rooms and a basement. 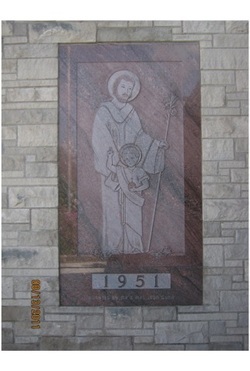 The cornerstone and this beautiful red granite plaque of St. Joseph was set in 1951 at the beginning of the current school building’s construction. St. Joseph School from a Humbird Street view in 1952, the year of its dedication. The first St. Joseph School building was staffed by Franciscan Sisters of the Christian Charity of the Holy Family of Alverno. 1951—A unique aeriel view of the original St. Joseph School building (just right of the center), and the original St. Joseph Church (far right), while the new school was being constructed in the background. 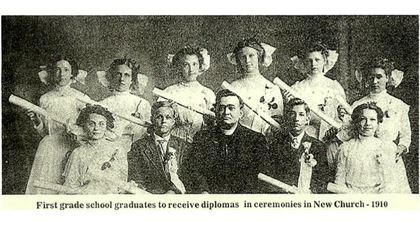 This picture is of the first students to receive diplomas from St. Joseph School in 1910.